The Office of the Government Chief Information Officer, in collaboration with the local information and communications technology (ICT) industry, staged the International IT Fest 2016. 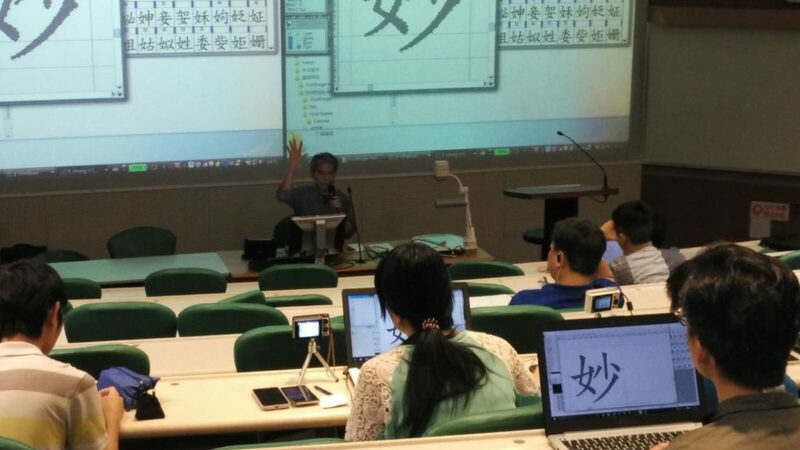 HKCOTA was honoured to held one of the events within the IT Fest – Workshop in Making Free Hong Kong Fonts – together with H.K.S.K.H. Lady MacLehose Centre. A group of elderly people created a new font of some 4 000 characters with open source software, contributed to free Hong Kong fonts. Their technique in font making was present in the workshop and most of the participants were younger than the presenters. This workshop demonstrated that elders can also be technical savvy and contribute to the society in the area of ICT.